Stomach pain is a symptom that we should never ignore. Pain is our body’s way of saying that it does not feel good and something is definitely wrong. It is very important that when the pain starts, medical intervention is highly recommended. This is what happened to a man from India who refused to acknowledge the stomach pain that he has been suffering for years. When the doctors finally did surgery on him, this pain turned out to be caused by over 4,000 gallstones. Yogesh Yewle is a 43-year-old man who lives in Western India. He is one of those people who think stomach pain is not dangerous even though he has been suffering for years. He is a manager at a hardware store and when he started feeling uncomfortable because of stomach pains, he refused to see a doctor even though many have already advised him to do so. Instead, he decided to self-medicate. Self-medication is a high-risk practice because it can cause incorrect self-diagnosis, further delays in seeking medical help when it is needed, and severe adverse reactions. Since you do not exactly know what’s causing your pain but you still take medications on your own, this can lead to dangerous drug interactions, incorrect administration, dosage, and therapy, which can worsen your health condition. In Yewle’s case, when the pain started to intensify, he would take antacids and painkillers. No matter how much medicine he’s taking in, the pain persists. The stomach pain didn’t go away and instead, it was just getting worse every day. When he cannot take the pain anymore, this is when he was persuaded to go visit a doctor in a hospital. Tests were conducted and everything leads to gallstones. Doctors and nurses prepared him for emergency surgery for the gallstones to be removed as a routine procedure. Little did they know that this surgery is not something that they have ever experienced before. A laparoscopic procedure was started on him and the doctors were shocked to discover the number of gallstones that was lining his gallbladder. 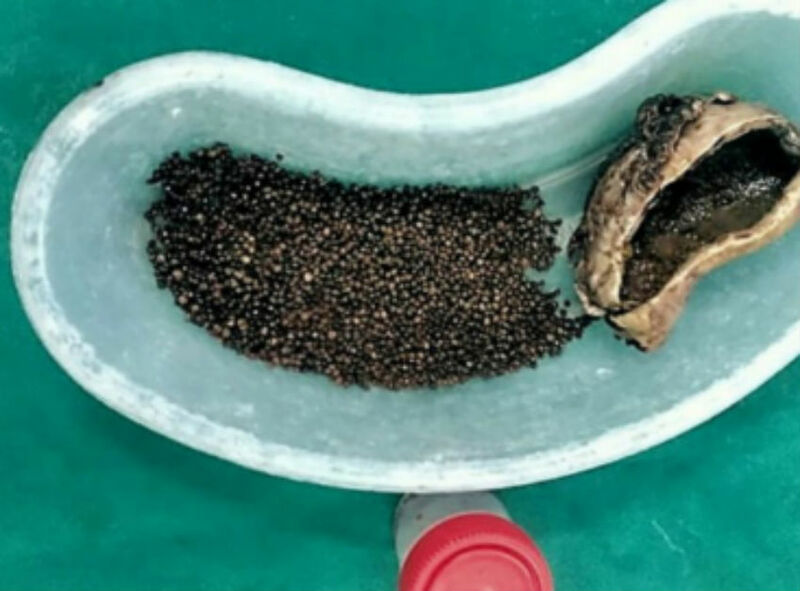 They were able to remove each of these gallstones and in total, it’s over 4,000! This operation took 4 hours to finish, and it took the hospital staff another 2 hours to give a final count of the gallstones that was removed from his body. Their final count is 4,100. 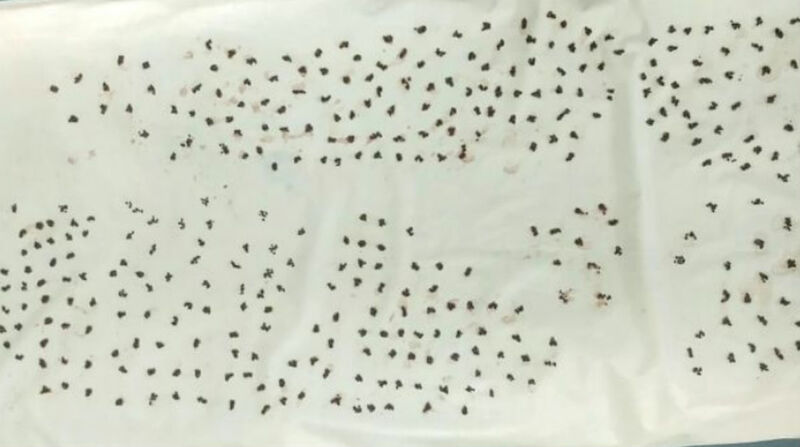 “Usually we get to see two to twenty stones, but here there were so many and when we counted them, it was a whopping 4,100,” Dr. Amit Sharad Kele said. This may be a huge number for us but according to the world records, Yogesh was not even close. The Guinness World Records have an 85-year-old British woman with a total of 23,530 gallstones removed from her body at one time in 1987. Yogesh is already doing well and is making his full recovery. Rest assured, the pain will now go away. Gallstones are very common and Yogesh learned his lesson the painful way about the importance of listening to what his body tells him. The symptoms are there to warn us that something is wrong and a medical professional are the only ones who can tell us exactly what is happening to our bodies. Seek help as soon as possible and NEVER ignore the pain.